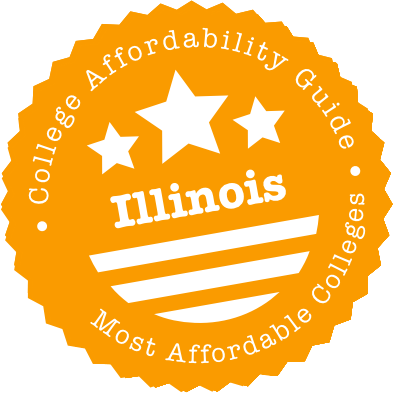 Scroll down to see our top-ranked colleges in Illinois, loans and scholarships for Illinois students, and advice on how to save money going to college in Illinois. The University of Illinois in Chicago was formed in 1982 by the consolidation of two University of Illinois campuses - the Medical Center campus, which dates back to 1859, and the Chicago Circle campus, which was established in 1965. The average first-year financial assistance package is $14,240. The President's Award Program (starts at $5,000 per year for four-years) is a merit-based scholarship for freshmen from under-represented groups with demonstrable financial need. Transfer students (fall and spring semesters) can apply for the UIC Transfer Merit Tuition Award. American-born undergraduates of Chinese descent may qualify for the Everett and Florence Drumright Scholarships, while Asian-American and Pacific Islander students can apply for the AANAPISI Scholarships. Western Illinois University has two strong selling points for affordability. First, it guarantees that new students' tuition, fees, and room and board will not increase for the four years they need to complete the degree - the only university in the state with such a rate freeze. Second, it automatically awards the Western Commitment Scholarship to students who graduated high school with a 3.0 and notched a 1020 or better on the SAT. The scholarship provides a guaranteed $2,000 to $10,000 depending on the SAT score/GPA combo, plus additional funds based on financial need. Each year, the University of Illinois at Urbana-Champaign (founded in 1867) welcomes more than 32,000 undergraduate students to its 1,783-acre campus. Incoming freshmen with high academic achievement and financial need may qualify for the Illinois Achievement Scholarship ($10,000 over four-years). Freshmen from historically under-represented groups are considered for the President's Award Program ($5,000 over four-years). The Chez Scholarship ($10,000 over four-years) supports up to nine Chicago public high school graduates from economically disadvantage backgrounds. Freshman non-residents can be considered for the University Achievement Scholarship ($8,000 to $12,000 for four-years). Transfer students with demonstrated need from an Illinois community college may be eligible for the University of Illinois Transfer Scholarship (up to $5,000 for four semesters). Monmouth College, a small liberal arts school, ranked No. 19 as Best Bang for the Buck in the Midwest in the 2017 college rankings by Washington Monthly magazine. One criteria was Monmouth's success in graduating low-income students. Fully half of the college's students qualify for federal Pell Grants, and one-third are the first in their family to attend college. To support these students, the financial aid office administers federal grants, loans, and work-study programs, and the college has a wide range of scholarships. Seemingly everyone is eligible for some scholarship, with categories including academics, talent, and church affiliation (Monmouth is a Presbyterian school). Other scholarships are available for transfer students, international students, and those in Greek life. With 45 majors, Illinois College is ranked No. 38 for Midwest liberal arts colleges in the 2016 U.S. New & World Report rankings, thanks to graduation rates that exceeded expectations. The college has a sizeable endowment of about $140 million that helps keep tuition lower than at comparable schools. Illinois College also administers millions of dollars in financial aid annually. The college funds merit-based scholarships of up to $21,000 per year. Residents of Illinois may be eligible for the need-based Illinois Monetary Award Program, and the college also administers the federal Pell Grant. Illinois College granted its first degrees in 1835, and famous graduates include three-time presidential candidate William Jennings Bryan. Each year, the Southern Illinois University Edwardsville offers a wide range of degrees and programs (from liberal arts to professional studies) to its students, which numbered 14,000 in the autumn of 2014. Freshmen and transfer students from under-represented groups who are planning to pursue careers in nursing, engineering, sciences or as teachers may be eligible for the Johnetta Haley Scholarship (up to $16,000 each year). Freshmen and transfer students with excellent academic records are considered for the Cougar Pride Scholarship (up to $16,000 each year). Incoming freshmen with outstanding academic credentials can apply for the Meridian Scholarship, which awards full tuition, fees, and room and board each year. Sauk Valley Community College in Dixon, Illinois, has about 4,000 students and grants associate degrees, with 47 percent of students pursuing a transfer degree and 46 percent taking career/technical programs. About 52 percent of Sauk Valley students receive a federal Pell Grant to help pay for their education. The college has a TRIO Student Support Services office that provides advising, skills workshops, mentoring, tutoring, computer and textbook lending, and other services to qualified students who are first-generation college students, low-income, or have a disability. The program awards 10 to 15 grants of $610 annually to participants. The Sauk Valley College Foundation awards a wide range of scholarships, valued at up to $1,000, to students who meet eligibility requirements. The oldest public university in Illinois, Illinois State University in Bloomington-Normal has 149 majors but is best known for training teachers. ISU awards institutional grants or scholarships to 34% of beginning full-time undergraduate students, with students receiving an average institutional award of $4,548. Incoming students with records of academic excellence can apply for several merit-based scholarships that are renewable for up to four-years, including the $11,000 Presidential Scholarship, the $6,000 University Scholarship and the $1,000 to $4000 Redbird Academic Scholarship. Students transferring to ISU from a community college can apply for the merit-based Community College Transfer Scholarship, which provides a $2,000 award that is renewable for two years. John Wood Community College is a two-year community college located in Quincy, Illinois offering both online degrees and on-campus degrees. Students may qualify for academic, athletic, leadership, or fine arts tuition waivers. There are also a number of scholarships provided by the JWCC Foundation. Students may also qualify for the Federal Work Study program, which will be determined by FAFSA results. JWCC also offers an Authorized Payment Plan for students who need to pay their tuition in installments. TRIO Student Support Services are offered to 170 low-income, first-generation or disabled students who qualify. JWCC has transfer agreements in place with several four-year universities in three states, which will allow students to transfer into bachelor degree programs with a smoother transition. Lewis University in Romeoville, Illinois is a Catholic university founded by the Archdiocese of Chicago in 1932. Almost all (99%) of full-time beginning undergraduates receive institutional grants or scholarships, with students receiving an average award of $11,450. Incoming freshmen are automatically considered for academic scholarships like the $13,000 to $14,000 Frank J. Lewis Scholarship, the $12,000 Michael and Frances Fitzpatrick Scholarship and the $11,000 Bishop Sheil Scholarship. Transfer students are considered for academic scholarships upon admission as well, including the $8,000 to $9,000 Christian Brothers Achievement Award, the $7,000 Lewis University Achievement Award and the $2,000 Alumni Legacy Scholarship. The university also offers an institutional grant, known as the Lasallian Grant, which is awarded to undergraduate students based on financial need. The University of St Francis is a Catholic liberal arts institution that ranked 36th among Midwestern universities in U.S. News & World Report's 2016 rankings. The University offers institutional gift aid to 96% of undergraduate students, giving out over $16.7 million in institutional funds per year. Incoming freshmen are eligible for academic scholarships ranging between $6,000 and $14,000 per year depending on their ACT score and GPA. The University also offers 10 types of special scholarships, all of which are renewable and provide awards ranging from $1,000 to full-tuition. Graduate students at USF are eligible for financial aid in the form of federal and state grants and scholarships, federal loans and a tuition payment plan. Oakton Community College is a two-year college located on a 147-acre campus within a forest preserve in Des Plaines, Illinois. The College offers financial aid to 54% of full-time, first-year students primarily in the form of government and institutional grants, scholarships, federal loans and work-study opportunities. Grant opportunities include the Federal Pell Grant ($292 to $5,730), the ISAC Monetary Award Program Grant ($250 to $1,968), the Student Government Association Tuition Assist Grant ($70 to $1,680) and the Student to Student Grant ($100 to $800). Most institutional scholarships are awarded through the Oakton Community College Educational Foundation and range from $100 to $3,000 per year. The College also offers an interest-free tuition payment plan. Southern Illinois University Carbondale is among the top 5 percent of U.S. universities in research, and it ranked No. 122 among Top Public Universities in the 2018 U.S. News Best College rankings. The university has about 18,000 students and is home to schools of law, medicine, and agriculture. As a public school, SIU has reasonably low costs, and the college also awards more than $10 million in scholarships each year. Legacy students get a tuition discount. Along with Pell grants, need-based MAP grants are available for Illinois residents. If students still need aid, SIU has two other grants - Student-to-Student and SUI Institutional Need-Based grants - to cover exceptional needs. The Student Employment Services office helps students find on-campus, part-time work. At Quincy University, a small liberal arts school associated with the Catholic Church, it's almost a given you'll receive some sort of financial aid. Fully 98 percent of the student body receives some aid, and the college offers packages with grants, loans, and work-study to help students keep costs down. To receive financial aid, students must submit the FAFSA. In addition to Pell grants and other federal assistance, Illinois residents who apply early may be eligible for the Illinois Monetary Award Program Grant. The university also awards millions of dollars in merit scholarships each year, and many of these awards are renewable. Quincy scholarships categories include academic, art, legacy, athletic, and volunteerism and community service. A cheaper college degree in Illinois is actually achievable! Yes, state university systems like the University of Illinois and Illinois State are generally affordable, but keep in mind smaller Catholic universities with strong institutional aid and community colleges that allow you to transfer credits. You may also be eligible for state financial aid packages that can help you avoid massive loans. Some—like the well-known Monetary Award Program (MAP)—are only available to Illinois residents, but other programs are open to non-residents who agree to work in Illinois or who have ties to the state. College students who want to transfer college credits in Illinois will not have a problem moving lower division courses between institutions. Most colleges and universities in Illinois follow policies that allow for transfer of the Illinois General Education Core Curriculum, as well as statewide guaranteed transfer of associate’s degrees. Through the Illinois Articulation Initiative, students can complete a core curriculum of general education courses. This package is transferable among more than 100 participating colleges and universities in Illinois and fulfills the lower division general education requirements for degrees within the state. However, it is important to note that the courses only transfer as a package, and course to course transfer is not guaranteed. Educational institutions in Illinois are not required to accept this package of courses, but most do. The Illinois Articulation Initiative general education package is recommended for students who plan to transfer to a four year college for a bachelor’s degree, but have not yet chosen their desired educational institution. Additionally, the Illinois Articulation Initiative offers major guides with recommendations for courses in several popular majors. Students who have completed an associate’s degree from an Illinois community college or junior college using the General Education Core Curriculum will find it easy to transfer credits. With this degree complete, students will be considered to have met lower division general education requirements for a bachelor’s degree. Some institutions may require additional graduation requirements, however. Students who would like to see how credits will transfer between institutions in Illinois can use Transferology. This tool shows courses that transfer between institutions, as well as degree requirements and resources that show how your completed courses may satisfy different majors offered by Illinois educational institutions. State-funded scholarships, grants and loan repayment programs won’t make college cheap, but they can make school a little more affordable. For all you need to know, visit the website for the Illinois Student Assistance Commission (ISAC), the state’s centralized source for Illinois student financial aid. ISAC will guide you through applying for state grants and scholarships, student loan repayment programs and the prepaid tuition program. It also has detailed info on the FAFSA and college planning, as well as specific financial advice for aspiring graduate students, teachers, nurses & physicians and students interested in the military. On top of that, ISAC runs a separate ISAC Student Portal where you can explore affordable Illinois colleges, learn about careers, find scholarships, budget your money and more. You have the option to speak to a counselor or attend a college preparation workshop. ISAC partner organizations include SALT, which helps you manage your personal finances, and Illinois workNet, which can hook you up with your ideal career. Summary: This tuition grant is available to the spouse or children of a State of Illinois Department of Corrections officer who was killed or became at least 90% disabled in the line of duty. Grants can be used for college tuition and fees at an ISAC-approved Illinois college (undergraduate or graduate study) for up to four years of full-time enrollment. At public universities and colleges, the grant may cover full payment of tuition and mandatory fees. You do not need to be an Illinois resident at the time of enrollment to receive the grant. How to Apply: Complete the separate application form and provide all required documentation by the deadline date. Summary: This tuition grant is available to the spouse or children of an Illinois police or fire officer who was killed or became at least 90% disabled in the line of duty. Grants can be used for college tuition and fees at an ISAC-approved Illinois college (undergraduate or graduate study) for up to four years of full-time enrollment. At public universities and colleges, the grant may cover full payment of tuition and mandatory fees. You do not need to be an Illinois resident at the time of enrollment to receive the grant. Summary: These tuition-based grants are awarded to undergraduates who attend Illinois colleges that participate in a special collegiate license plate program. Some of the money from sales of the plates helps students pay for tuition and mandatory fees. If you’re eligible, you may receive a grant for the equivalent of 10 semesters (or 15 quarters) of full-time enrollment. This grant is intended for the traditional school year; requests for summer assistance must be made separately to your college. Eligibility: Contact your college to determine a) if it participates in the HELP Program and b) what the specific eligibility requirements are. How to Apply: File your FAFSA—all HELP Program applicants must complete the FAFSA in order to determine financial need. You should also ask your college if you need to fill in any separate application forms. Summary: MAPs are need-based grants that low-income Illinois residents can use to pay for tuition at approved Illinois colleges. MAP grants cannot be used for items such as books, travel or housing. Colleges use the information from the FAFSA and factor in other financial aid information to make sure that the neediest students receive grant assistance. Award amounts vary depending on your need and other sources of financial aid. You can use ISAC’s MAP Estimator to see if you might be eligible for a grant. You’ll need to have your Expected Family Contribution (EFC) and your Adjusted Gross Income (AGI) numbers to use the tool. How to Apply: File your FAFSA as soon as possible. If you list an approved Illinois college on your FAFSA, your eligibility for the MAP grant will be automatically determined and the estimated MAP grant will be listed on the financial aid award letter from your school. Summary: This scholarship program is intended to encourage smart Illinois students—especially minority students—to take up a career in teaching. Smart means an ACT composite score of 22+ with a combined 19 in English/Writing. If you’re eligible for the scholarship, you may receive up to $2,500 as a freshman or sophomore, and up to $5,000 as a junior or senior in tuition assistance. In return, you must promise to teach (full-time) for at least five years at a non-profit Illinois public, private or parochial preschool or an Illinois public elementary or secondary school considered a School of Need. You must also begin teaching with two years of completing your degree or academic program. If you don’t teach for five years, the award converts to a loan, which you’ll have to pay back with interest. Please see the ISAC website for detailed info. How to Apply: Online application forms are available on the Golden Apple Foundation website. Nominations to the Golden Apple Scholar program can be made by students themselves or teachers and counselors. The Foundation then informs ISAC which applicants are eligible to receive tuition assistance. Summary: The MTI scholarship is open to students of African American/Black, Hispanic American, Asian American or Native American origin who wish to become teachers. To receive the MTI, you must agree to teach at a non-profit Illinois school where no less than 30% of enrolled students are designated minorities. Scholarships go up to $5,000 per year for a maximum of four academic years of full-time enrollment. Funds can be used for tuition, fees, room & board and commuting expenses. If you don’t fulfill your teaching commitment, the scholarship converts to a loan, and you’ll have to repay the entire amount plus interest. How to Apply: Complete the interactive MTI Scholarship Application. Funding is limited, so get your application in as early as possible. Summary: NESP is available to students with financial need who are seeking a certificate in practical nursing, an associate’s degree in nursing, a hospital-based diploma in nursing or a bachelor’s or graduate degree in nursing. Successful awardees must start full-time or part-time employment as a licensed practical or registered nurse in Illinois within six months of graduating and remain employed for a period equivalent to the educational time supported by the scholarship. The scholarship provides financial aid anywhere from one to four years. For example, full-time students at a public Illinois institution may receive up to $10,901 for tuition and fees and $3,646 as an annual stipend. If you drop out of your program or fail to become employed, you’ll have to repay the full scholarship amount, plus 7% interest per year. See the IDPH website for further details. How to Apply: Complete the separate NESP Scholarship Application and submit all the required documents. Summary: This SLRP is targeted at health professionals (e.g. physicians, nurse practitioners, physician assistants, nurse midwives, dentists and psychiatrists) who are willing to practice full-time or half-time in federally designated health professional shortage areas (HPSA) throughout Illinois. For a minimum of two years, full-time service, you may receive up to $25,000 annually. However, if the total amount of your qualified educational loans is less than $50,000, you’ll receive one-half of the total qualified educational loan amount per year. Also, if you only wish to serve half-time, you’ll have to extend your obligation period twofold. How to Apply: Complete the separate Illinois National Health Service Corps State Loan Repayment Program (SLRP) Application on the IDPH website. Summary: This program is available to academically talented Illinois students who agree to teach in Illinois schools in certain low-income areas for five years. (A listing of these schools can be found in the Teacher Cancellation Low Income Directory.) To be eligible, you must be a Federal Stafford loan borrower who has qualified for the federal government’s loan forgiveness program. If that’s the case, the state of Illinois will provide an additional matching award of up to $5,000 to repay student loan debt. How to Apply: Complete the separate Illinois Teachers Loan Repayment Program Application and submit the required documentation. Summary: The JRJ program is available for state and federal public defenders and state prosecutors who agree to remain employed as public defenders and prosecutors for at least three years. It provides loan repayments for eligible federal student loans. The annual awards can be up to $4,000 (dependent on funding) with an aggregate total of $60,000. If you don’t fulfill the employment commitment, you’ll have to repay any amount received. Prosecutors who are employees of the federal government are not eligible for the JRJ program. How to Apply: Complete the separate John R. Justice Student Loan Repayment Program Application and submit the required documentation. Summary: This loan repayment program is available for practicing nurse educators who are working in Illinois and need help with their student loans. It’s intended to act as an extra incentive for nurse educators to maintain their teaching careers in the Prairie State. Qualified nurse educators can receive up to $5,000 per year for a maximum of four years to repay their student loan debt. How to Apply: Complete the separate Nurse Educator Loan Repayment Application. Summary: This program is intended for nurses who wish to pursue and continue careers at State of Illinois veterans’ homes and need help repaying eligible educational loans. For every year you receive an award, you must complete a year of a service in a veterans’ home (approved veterans’ homes are located in Anna, LaSalle, Manteno and Quincy). Qualified registered professional nurses and licensed practical nurses can receive up to $5,000 per year for a maximum of four years to repay their student loan debt. How to Apply: Complete the separate Veterans’ Home Nurse Loan Repayment Application. Summary: This tuition waiver is available for natural or legally adopted children of veterans. Successful candidates are exempt from paying in-state tuition costs for up to four consecutive years of undergraduate, graduate, or professional studies at the University of Illinois (Urbana-Champaign, Chicago, Health Sciences Center or Springfield). Up to three tuition waivers per county are awarded each year. The tuition waiver does not waive out-of-state tuition. See the OSFA website for more details. How to Apply: Complete the separate Children of Veterans Tuition Waiver Application and submit required documentation. Summary: Members of the Illinois National Guard may be eligible to receive a grant for tuition and certain fees (i.e., registration, graduation, general activity, matriculation and term fees) for undergraduate or graduate study. Grants can only be used at Illinois two- or four-year public colleges. If you’ve completed less than ten years of active duty ING service, your grant can be used for a maximum of the equivalent of four academic years of full-time enrollment. If you’ve completed ten years or more of active duty ING service, your grant can be used for a maximum of the equivalent of six academic years of full-time enrollment. For answers to FAQs and info about using this grant with other veterans’ benefits (e.g. IVG), see the ISAC website. How to Apply: Complete the separate Illinois National Guard Grant Program Application. Summary: These grants are available to those have honorably served their country in the U.S. Armed Forces (see below). This program pays for tuition and mandatory fees at Illinois public colleges or community colleges. Successful candidates can use the grant for undergraduate or graduate studies for the equivalent of four academic years of full-time enrollment. For answers to FAQs and info about using this grant with other veterans’ benefits (e.g. ING), see the ISAC website. How to Apply: Complete the separate Illinois Veteran Grant Application. Contact the Illinois Department of Military and Veteran’s Affairs (IVDA) for more info about education benefits for service members and veterans. Summary: This scholarship is available to dependents of Illinois residents (at the time they entered active duty) who have been declared to be a POW, MIA, dead as a result of a service-connected disability or disabled with a 100% disability as the result of a service-connected cause. Scholarships are based on a points system for credit hours and cover tuition and selected fees to an Illinois state-supported college or university. The total scholarship award cannot exceed the cost of four years of full-time enrollment at the University of Illinois. Eligibility: You must be the spouse, widow, unmarried natural child, unmarried step child or unmarried legally adopted child of the veteran. How to Apply: Complete the separate MIA/POW Scholarship Application, available through the Illinois Department of Veteran’s Affairs. Summary: SETTW is intended for students training to be special education teachers in Illinois schools. The program exempts qualified candidates from paying tuition and mandatory fees (e.g. registration, health, facility operations, etc.) at eligible institutions for up to four calendar years. To receive the waiver, you must agree to teach in Illinois in the field of special education when you graduate. (A “teacher” is defined as a person who provides direct classroom-type teaching or classroom-type teaching in a non-classroom setting.) If you don’t fulfill your teaching requirement, the amount of benefits received converts to a loan and you must repay the entire amount plus interest. ISAC awards 250 tuition waivers per year. How to Apply: Complete the separate Illinois Special Education Teacher Tuition Waiver (SETTW) Application. No matter what your financial aid package looks like, you may still find it hard to make ends meet when you’re attending college in Illinois. If you and your family are struggling to pay for basic bills, and you’re not already receiving state benefits, it may be worthwhile seeing if you qualify for financial assistance. For example, Illinois’s Department of Human Services (DHS) runs a variety of programs for low-income residents, including SNAP (food stamps), Temporary Assistance for Needy Families (TANF), emergency and transitional housing and the Child Care Assistance Program (CCAP). The Department of Commerce and Economic Opportunity (DCEO) also offers affordable housing programs and utility assistance initiatives such as LIHEAP. Alternatively, you can call 2-1-1 or visit the Illinois 211 website. 211 is a free information service/help line that connects people with useful state programs and non-profits. Do you need a hand finding food and shelter? Looking for cheap mental health services? Searching for employment support? Struggling to pay for child care? 211 can refer you to the right resources. We’ve also listed some county-specific programs in our city sections below. In most cases, living on campus in an Illinois college will be more expensive than living off campus. However, it’s worthwhile breaking down the costs. Living in a dorm means you’re not commuting, rooms are typically furnished, utilities are included in the room rate and buildings are up-to-code (e.g. properly insulated). Try using the budget calculator on CalcXML.com to compare on-campus expenses (meal plans, dorm fees, etc.) with off-campus bills (groceries, utilities, etc.). What’s more, some schools are doing their best to keep housing cheap. For example, UIUC has a constant rate program—rates from the year you enter University Housing will remain fixed for up to four years (as long as you live continuously in a residence hall). In certain cases, you may have no choice. For instance, unless they qualify for an exemption, ISU students are required to live in university residence halls in their first two years out of high school. During your planning, you may find that your aid doesn’t cover room & board. When that happens, it’s worthwhile talking to your school’s residential life/housing coordinator or the Financial Aid Office about your options. You may be eligible for private or institutional scholarships and/or work-study programs. For example, UIC students who receive a Federal Pell Grant, have an EFC between $0 and $2,000 and qualify for the Access to Excellence Grant are eligible to receive a UIC Housing Grant when they reside in University-owned housing. When push comes to shove, living with roommates and splitting costs—even in Chicago—may be cheaper than a dorm. For example, thanks to solid public transportation, 85% of UIC students commute. Up until fall 2016, when NEIU opened its first student residence hall, 100% of students lived off-campus. So where do you start your search? Believe it or not, one useful place is the housing section of your college website. Most schools have pages or websites devoted to apartment living, with tenant advice, links and resources. UIUC runs the Tenant Union, ISU has an Off-Campus Housing Directory and UIC has an Off-Campus Housing website available only to students, faculty and staff. Outside of your college, Craigslist is the most well-known website for cheap apartments and room listings. But you can also try websites such as ApartmentGuide.com, CampusRent.com and MyApartmentMap.com, which allow you to target affordable housing listings around your specific school. If a crisis hits, the Illinois Homeless Shelter Directory has a comprehensive list of emergency shelters and transitional housing options. In state that’s famous for its snowy winters, paying for utility bills like heating can make or break a budget. Before you sign any off-campus rental agreement, be sure you know what utilities you’re responsible for (e.g. electricity, water) and what utilities (e.g. sewer) your landlord will cover. You can ask for an estimate of the monthly utilities bill and talk to former tenants to find out what people usually end up paying.Do you live with your family? Are you already renting and struggling to pay for basic utilities? You may qualify for the state-run Low-Income Home Energy Assistance Program (LIHEAP), which gives financial assistance to residents in need. You can also check with your individual utility companies to see if they have low-income programs. For example, Ameren runs energy assistance efforts like Warm Neighbors Cool Friends and provides bill benefits to certain groups (e.g. military). Northshore Gas has financial & energy assistance plans and ComEd has hardship programs and support for veterans. Almost every college or university has its own student health center/clinic. These places offer free or cheap care to all students, so it’s worth taking advantage of the services they provide. What they offer will depend on the institution—big-name colleges may have fancy clinics and doctors & dentists on staff; smaller schools may limit their services. For example, Dominican University’s Wellness Clinic provides a variety of free basic treatments and is staffed by an advanced nurse practitioner; SIU’s Student Health Center offers a huge range of services, including clinical, counseling, dental, psychiatry, optometry and physical therapy. A lot of student health centers will also cover mental health counseling. If school clinics fail you, both FreeClinicDirectory.org and NeedyMeds.org have a list of community clinics and health centers in Illinois that offer free or affordable medical care. In addition, the All Kids program offers many Illinois children comprehensive healthcare for a significant discount. Suffering from a mental crisis? The DHS has an office locator where you can search for (non-urgent) mental health service providers and a list of community crisis providers that provide emergency psychiatric services. The Mental Health Crisis/Suicide hotline is 1-800-273-8255. Finding cheap dental care may take a little more effort. Students who go to certain schools may be lucky to find dentistry services in their student health center (e.g. SIU’s Dental Service), but many others are left to fend for themselves. When that happens, see if you can find a university dental school nearby. These schools are training new dentists, so they will often offer discount care to patients. For instance, UIC’s College of Dentistry offers a full range of dental care services at a lower cost than private practice; Medicaid cards are accepted. FreeDentalCare.us: Illinois also has a list of free and low-cost clinics in your community. For affordable child care, start by looking on campus. A healthy chunk of Illinois universities and community colleges have child care centers, including Chicago State University, Elmhurst College, Illinois State University and the University of Illinois at Urbana Champaign. Some of these centers will try to accommodate low-income families. It’s always worthwhile asking about subsidies or discounts. When that fails, the state may be able to assist with costs. The DHS’s Child Care Assistance Program (CCAP) helps income-eligible families pay for child care services while they work, go to school and complete work-related training. You can use the Child Care Assistance Program Eligibility Calculator to see if you qualify. To find a licensed child care center in your Illinois country or neighborhood, visit the website of Quality Counts. This also has information about how to contact your local Child Care Resource & Referral (CCR&R) Agency for assistance. Most Illinois colleges have devoted a section of their website to cheap transportation & commuting options. As dull as it sounds, it’s worth your while to find it. For example, UIC’s Commuter Student Resource Center (CSRC) has a comprehensive list of transportation options, with links to carpools, car shares, free campus shuttles, bike programs and more. You can even talk to a CSRC Commuter Assistant to plan the most cost-effective commute. UIUC’s oddly titled Transportation Demand Management has info on biking, buses and intercity travel. Don’t forget, too, that your student ID card will grant you discounts on city transportation. All full-time UIC students receive a U-Pass granting unlimited access to CTA services during the semester; UIUC’s i-card gives students access to all MTD buses for any route at any time. You can also ask local transport companies what kinds of student deals they offer. For example, GO Airport Express offers online discounts for students who book trips between their college or university and O’Hare or Midway. Students aged 17 – 25 with a valid student ID are eligible for 15% off the lowest Value or Flexible Fare with Amtrak. Please don’t go hungry to class! A lot of students, especially adults with other bills and responsibilities, are experiencing food crises. The College and University Food Bank Alliance (CUFBA) has a list of participating Illinois schools that provide food banks—examples include NIU’s Huskies Student Food Pantry, NEIU’s Student Food Pantry and UIC’s Pop-Up Food Pantries—but you may find others on your campus. You’ll also be more than welcome at a community organization. Browse through the list of Illinois Food Pantries on FoodPantries.org or the directory of IL soup kitchens, pantries and food banks on HomelessShelterDirectory.org. New moms or moms-to-be might also want to see if they qualify for the Illinois WIC Program. SEE ALSO: our Encyclopedic Guide to Saving Money as a College Student. Living in Chicago is more affordable than New York or LA, but it’s still a big city, with attending costs. Sperling’s puts the overall cost of living at around the national average. Rent in certain neighborhoods can be low, but that may come with a high crime rate. Students living near the Loop are in fairly good shape for public transportation. High gas prices and parking fees can make owning a car a pain (on the other hand, if you’re commuting from certain neighborhoods, you may have little choice). Chicago also has a 2.25% tax for food in grocery stores, so be prepared to pay a little more than you expect. General information for residents can be found on the City of Chicago website. Are you worried about taking care of your family, affording tuition bills or paying for the roof over your head? Have you always dreamed of going to college in Chicago but need some help planning your budget and organizing your commitments? These non-profit organizations in Chicago and surrounding counties can get you going on the path to a cheaper degree. City of Chicago Community Service Centers help residents get access to all kinds of government resources (e.g. shelter, food and clothing, domestic violence assistance, job training, etc.) and connect individuals and families to rental, utility and other financial assistance programs. The Health, Education and Relief (HEAR) Foundation runs a scholarship program for low-income, college-bound students who have demonstrated a commitment to their schools and communities. It also offers a mentoring program to aspiring scholars. One Million Degrees supports low-income community college students with tuition assistance, tutoring, mentorship, training in financial literacy, professional development and transfer to four-year colleges. The Center for Economic Progress (CEP) assists low-income, working families with free tax and financial services. That includes financial coaching and advice on budgeting for college. Bridge Communities serves homeless families in DuPage County, providing two years of individual mentoring, affordable housing and supportive services. La Casa Norte fulfills a similar function in Chicago. This is just a small smattering of what’s out there. Aurora is home to a variety of schools, including Waubonsee Community College, Rasmussen and North Central. The overall cost of living is below the national average—mainly thanks to affordable housing options—and Chicago is only an hour by car to the east. If you’re thinking about using it as a commuting spot, just remember that winters in Illinois are fairly brutal, so you’re going to be spending a fair amount of time navigating snow and traffic jams. General information for residents can be found on the City of Aurora Illinois website. Even the cheapest community college degree can be too costly for some. No matter what kind of help you need—paying bills, managing your budget or covering family expenses—these non-profit organizations may be able to lend a hand. Two Rivers Head Start Agency (TRHSA) serves five counties in Northern Illinois, including Kane County. It offers emergency financial assistance, GED preparation, college scholarships, child care subsidies and more. It also operates a food pantry in Aurora. The Tri City Health Partnership (TCHP) provides free medical care and dental services to central Kane County residents who are uninsured and underinsured. Its office is located in St. Charles. Catholic Charities in the Diocese of Rockford supplies a wide variety of services to residents living in the Kane County area (including Aurora). Programs include emergency assistance for rent, utilities, food, diapers and other basic needs, as well as information and social services to Spanish-speaking people. Community Housing Advocacy & Development (CHAD) offers long-term affordable housing in 30 west suburban communities, including Aurora. Below market rents are available to income-qualified applicants. To find assistance with a specific problem (e.g. food shortage), you can also browse through the Kane County Guide to Community Services or search by category (e.g. education, food, etc.) in the directory of Aurora, IL non-profits on CharityBlossom.org. Rockford can be a tough place to live. Sure, Sperling’s Best Places puts the cost of housing way below the national average, but cheap rents come with a high crime rate and unemployment. There aren’t many places to earn a college degree, so you may find yourself commuting through heavy traffic jams to get to where you want to go. General info for residents can be found on the City of Rockford website. Whatever your financial situation, you have the right to aim for a degree. If you’re living in Rockford and worrying that you won’t be able to afford college, there are a number of organizations that can support your goals. Goodwill Northern Illinois offers a GoodGRADS program that provides help with the GED, college scholarships and assistance with managing education-related challenges (e.g. transportation, child care, housing, etc.). Other services include free money management courses, free tax preparation and job training. Northwest Community Center coordinates GED classes, organizes temporary assistance for needy families, runs an Empowering Women for Success program and offers all kinds of services for kids, including before school breakfasts and after school programs. Family Credit Management is a non-profit counseling agency that can help you find your way out of debt. It also has a variety of helpful financial planning resources. Bridge Clinic of Rockford is a free medical clinic for adults over the age of 18 who have no insurance and/or limited resources. It provides basic primary health care, but doesn’t handle complicated medical issues. Need assistance with a specific social service problem? Consult a representative at the DHS Family Community Resource Center in Winnebago County or search by category (e.g. education, food, etc.) in the directory of Rockford, IL non-profits on CharityBlossom.org.